The Foundation Ambassador is a resource to the Governor and the link between the District and the Zonta International Foundation. The Ambassador’s responsibilities include promoting 1/3 giving from the clubs to ZIF and encouraging an annual personal gift from each member. The Ambassador keeps the District informed through newsletter articles, presentations at District and Area meetings, and other speaking engagements on request. Each biennium the District Board establishes goals for the District, and the Ambassador tracks progress against the goals. The District 6 goal for 2016-18 is $168,000 in total contributions to the Zonta International Foundation from both clubs and individual members, with 100% of Clubs giving each year. This is the same goal as the last biennium, where we raised $152,620 or 90.8%. We continue to encourage all clubs to give one-third of funds raised to ZIF. We encourage all members to make a personal gift to ZIF, and strive for at least a 10% increase in the number of Club members giving. We are off to a good start toward our 2016-18 goal but still have much work to do. 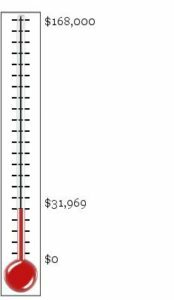 We have raised just under $32,000 through January 2017. The documents below provide some detail on the history of ZIF International Service Projects and ZISVAW projects throughout our history.